• The basic principles that underpin all hydraulic systems and relationships between pressure, flow, torque and speed. • How to read and interpret circuit diagrams using current symbols. • The function and operation of pressure relief valves, sequence valves and pressure reducing valves and have a basic appreciation of component setting up procedures. • The principle of pressure compensation relating to flow control. • The principle of operation of check valves and sliding spool valves. 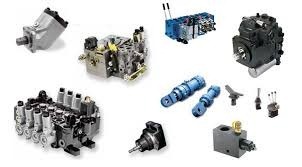 • The operation of gear, vane and piston pumps, and have a basic appreciation of pump testing. • The different characteristics of oils and the aspects of contamination control. • The principle of operation of accumulators. • The basic principles of proportional control and be aware of the electrical interface that now exists with hydraulic systems. • Know the various pump control systems in current use. • Know the importance of manufacturers data and following correct installation, commissioning and test procedures. • Know the importance of effective maintenance techniques. • Know the procedures to follow to effectively manage fluid power systems. • Have a thorough in-depth understanding of the function, operation and application of components used in mobile applications. • Be in possession of practical hands-on experience on mobile machinery improving skills and performance. 1. Engine torque and speed relationships associated with pump Q/P profiles. 2. Priority flow control and rotary flow dividers. 5. Braking systems and suspension. 6. Pumps and associated controls for open circuit applications. 7. Pump and motor combinations for closed circuit applications. 8. Motors and cylinders performance. 9. Load holding and motion control. 1. Installation and commissioning of constructed circuits. 4. Fault finding and safe working practices.